Green Space | East Windsor, Ontario, 9600 Wyandotte Street E.
Join Essex Region Conservation Authority and the Detroit River Canadian Cleanup for their Earth Day Community Tree Planting at the green space south of Wyandotte between Florence & Martinique in East Windsor on Sunday, April 28, 2019. Thousands of birds and birders flock to the annual Festival of Birds at Point Pelee National Park. This year's event is on May 1-20, 2019. 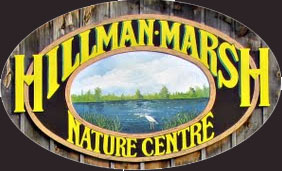 The Annual Hillman Marsh Shore and Songbird Celebration, featuring migrating birds and Ontario Field Ornithologists (OFO) helping to identify them, takes place at the Hillman Marsh Conservation Area on May 1-19, 2019. 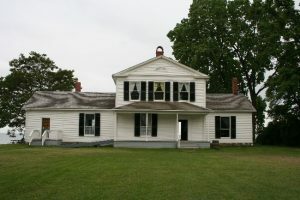 The annual Friends of the Homestead Yardsale takes place at John R. Park Homestead on Sunday, May 5, 2019. 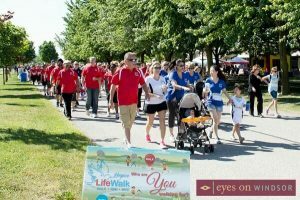 The 23rd Annual Hospice LifeWalk, a leisurely run, walk or bike ride in support of the Hospice of Windsor and Essex County, takes place outdoors at the Ciociaro Club on Saturday, May 11, 2019. 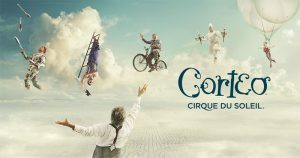 Corteo, one of the best loved Cirque Du Soleil productions, is coming to Windsor with its North American Arena tour at The WFCU Centre on May 15, 16, 17, 18, & 19, 2019. Enjoy the annual Woodcock Walk, featuring the chance to see the quirky and interesting mating rituals of the American Woodcock, at Point Pelee National Park on Saturday, May 18, 2019. 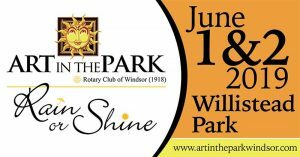 The 41st Annual Art in the Park festival weekend kicks off at Willistead Park in Windsor on the first weekend of June 1-2, 2019 . Ontario's largest outdoor arts and crafts show with exhibitors from all over Ontario, Quebec and the state of Michigan. Gil Maure Park, 1201 Front Rd. 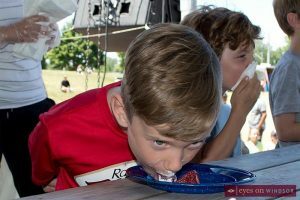 The 31st Annual Lasalle Strawberry Festival will delight all ages with lots of fun including live entertainment, pagents, parades, contests, fireworks, carnival rides, and of course... strawberries. The fun takes place June 7-10, 2018. 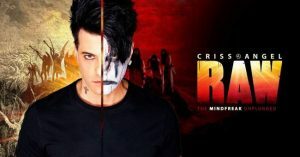 Criss Angel’s Raw: The Mindfreak Unplugged returns for an all ages mind-bending show inside The Colosseum at Caesars Windsor on Thursday, June 6, 2019.